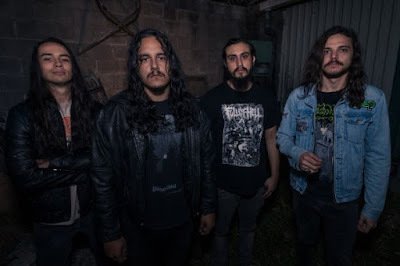 Songs like ‘Myriad’ and ‘Cataclysm’, are defined by head turning riffs – ones that are both familiarly groovy and mind-bogglingly intriguing – they are really exciting. On the lighter side of their personality, ‘Solstice’ is beautifully haunting and the mid-sections of ‘Elements of Sleep’ see some impeccable feet work from drummer James Armstrong and clean guitar tones so crisp and clear you want to kiss them. 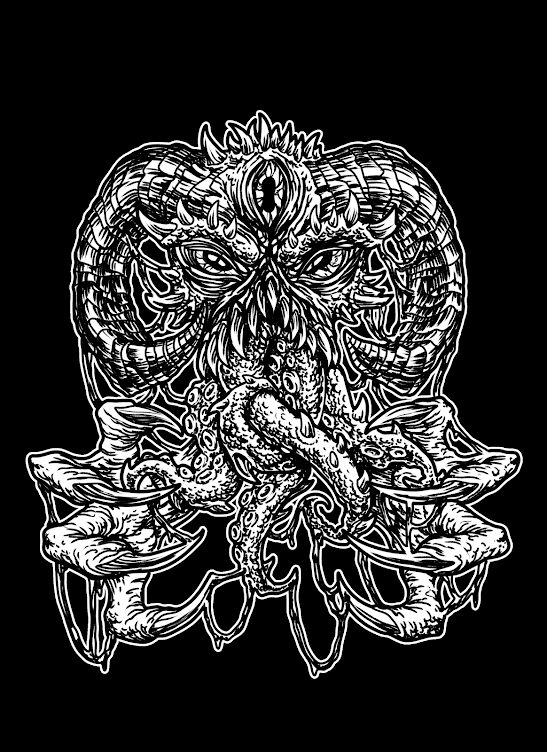 When the mood suits and I crave a dose of progressive metal both ethereal and guttural in equal measure then Mothra will be there. When Mothra get it right, they pertain a muscular voraciousness not to be fucked with. When they fail to hit the nail bang on its head, ‘Decision Process’ becomes an album of peaks and troughs. The latest artist to be held under the microscope of this Instrumental Interpretations series, they are perhaps the biggest mixed bag yet. But please, do not stop reading here. Having supported a wealth of influential artists who ply their trade in the same progressive tinted waters – namely Helmet, Russian Circles, The Dillinger Escape Plan, Devin Townsend Project – this, their debut releases, arrives amidst a fair degree of anticipation. What this band’s vision appears to be, is one of two dimensions, of heavy, gnarly guitars and staunch heavy sections and of elegant ambience – of light and dark. The biggest pitfall for instrumental bands, if this column alone is evidence, is that, unless the music is particularly flavourful, it can often become more background music than anything else. That however, can be a positive in some situations, I admit. Perhaps it is the way our Western ears have been raised to understand and expect from music, but often at times the lack of a vocalist can leave your focus waning, unless it really grabs you by the balls. ‘Decision Process’ has elements of both. For songs like ‘Myriad’ and ‘Cataclysm’, which are defined by head turning riffs – ones that are both familiarly groovy and mind-bogglingly intriguing – they are really exciting. On the lighter side of their personality, ‘Solstice’ is beautifully haunting and the mid-sections of ‘Elements of Sleep’ see some impeccable feet work from drummer James Armstrong and clean guitar tones so crisp and clear you want to kiss them (proper guitarist envy here) steal the show. However, other tracks are, for me at least, too embedded within the band’s ying and yang sound to leave any memorable impression on you. They sound too much like the standout tracks without those moments of individualist brilliance from any of the members to quench your thirst. And on some songs, even the mostly-excellent ‘Elements of Sleep’ you feel they drag the song out to long. There needs to be more flavours to make the song worth those extra mouthfuls. In that respect, I personally feel that tracks like ‘The Beginning’ and ‘Corridor’, as well as cutting off the excess fat on tracks such as the aforementioned ‘Elements of Sleep’ would make this a leaner but ultimately meaner debut. ‘Splinters’, another highlight, is one of those songs which boast the best of both worlds. With its Deftones on crack meets Cloudkicker guitar work, it is a real feral beast. It slows and teases you, keeps you locked in its crosshairs, with dynamics alternating, ambient and almost vulnerable atmospherics wrapping like a Boa Constrictor, in and out of those similarly reptilian grooves. Gunshot snare work leads you in and out of a plethora of crescendos, each one cauterised by a unique alteration which keeps the journey they are taking you on both familiar and interesting. ‘Escapism’ channels Tool with its bass led freneticism. It gets the blood pumping and, while it does sound remarkably like Tool, you feel it is done through love and admiration rather than mimicry and indeed, there is more to it than just that. In the end, when I take a step back at this record, look at the bigger picture then I find the positives much more vibrant and inspiring than the negatives do to blot and otherwise excellent product. 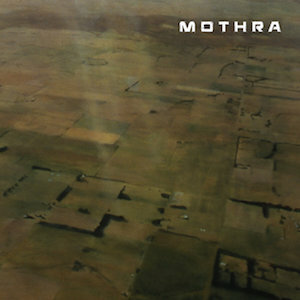 Over time I can see ‘Decision Process’ being something I dip my toes into every now and then – as far as listening to it in its entirety I am not so confident – but when the mood suits and I crave a dose of progressive metal both ethereal and guttural in equal measure then Mothra will be there.